The legal process of bringing criminal charges may involve an Indictment in North Carolina. Pursuant to Chapter 15A, the North Carolina Criminal Procedure Act, pleadings originally brought in Superior Court must be by way of Bill of Indictment, unless waived or handled in an alternate fashion such as a Bill of Information. What is an Indictment? When is an Indictment Required? The U.S. Constitution and North Carolina Constitution, including the Bill of Rights, provide certain basic protections to people accused of violating the law. Each state, in enforcing the criminal laws, is subject to the U.S Constitution under the 14th Amendment and must further comply with all statutory provisions regarding criminal pleadings. States may also provide protections in addition to the basic precepts of Constitutional Rights. Put simply, the General Assembly cannot remove Constitutional Protections; but, they may add to those legal rights or otherwise provide clarity and instruction on their proper application. § 15A-923 applies to felony and misdemeanor cases initiated in Superior Court. If a Bill of Indictment is properly waived, pleadings may take the form of the Bill of Information. Otherwise, the statute mandates prosecution must be handled through a bill of indictment. Defense lawyers are particularly interested in reviewing the, “plain and concise” statement of the factual basis for the charges and the specific statute alleged to have been violated under Chapter 14: Criminal Laws and/or Common Law offenses. 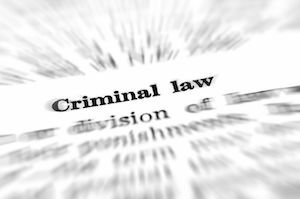 Violations of the Criminal Procedure Act may be brought at any time. 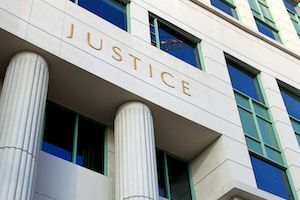 Appellate Courts in North Carolina review assertions that a Bill of Indictment is deficient on its face De Novo and therefore is not subject to the Abuse of Discretion standard. An October 2018 opinion by North Carolina Court of Appeals called North Carolina v. Hill helps explain errors in Bills of Indictment. Indictments are not required to be perfect. Technical violations in form and errors in wording often survive appellate scrutiny. Put simply, substantial compliance with the law, requiring the pleading to be “read as a whole” is often acceptable in North Carolina. The meaning of the words in an indictment is said to be “clearly apparent” if people of “common understanding” can tell what was meant or intended by the Bill of Indictment. One of the primary and most important aspects of charging documents, including Indictments and a Bill of Information, is to advise the accused of the criminal charges against her or him. Under N.C.G.S. § 15A-923(e), a Bill of Indictment is not allowed to be amended if such amendment substantially changes or alters the criminal charges described within the indictment. Courts are required to consider the purposes the indictment/pleading laws in North Carolina, the primary one is the 6th Amendment Right and protection allowing the Defendant to prepare for trial. If the State seeks to amend an indictment in such as way as it would substantially alter the nature of the criminal charges, the Court would not allow the amendment. If you have questions about criminal charges in the Outer Banks of North Carolina, Danny Glover is available for consultation and possible legal representation. Danny Glover Law Firm provides a Free Consultation for criminal charges. Everything you reveal to our defense team is held strictly confidential.